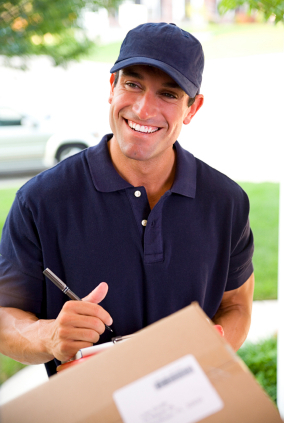 Special services such as delivery confirmation, lift gates, cod, special handling, and many more are a key area of value-add, revenue, and differentiation for carriers. For shippers, carrier services can be a useful and important way to respond to special customer needs, ensure product is delivered without damage and in a way that works for customers, and even make sure payment is received. 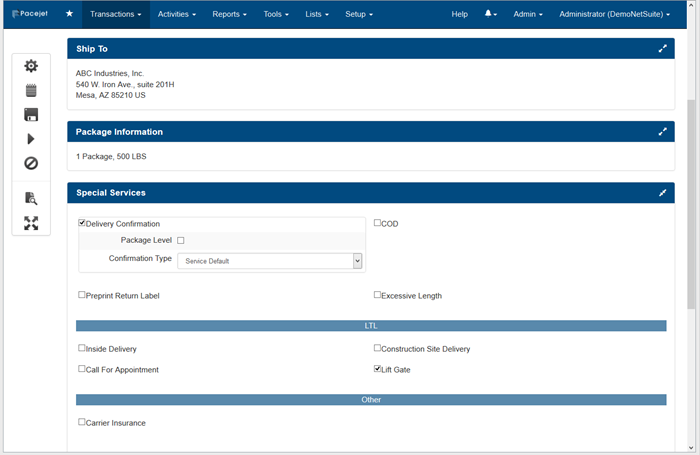 The latest version of Pacejet provides some new tools for using, managing, and even automating the use of special services as part of your quoting, shipping, and order management processes. 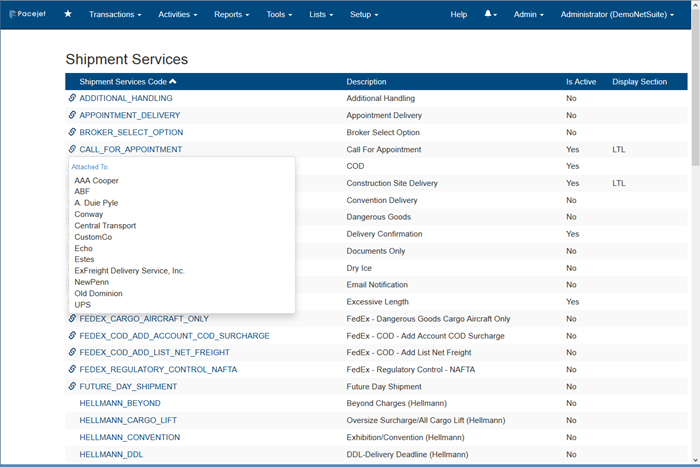 The Pacejet special services area provides a new, configurable layout for managing and using the carrier services relevant to your business and needed by your customers. Depending on the carriers you have activated in your Pacejet location, services can be activated individually, displayed in groups, and then accessed as needed during quoting and shipping activities. By making this area configurable, users only see services that are important to you and your customers and don't need to look at or sort through the hundreds of other services that might be available from selected carriers. Configuration of special services is now managed from a new special services menu in the administration tools area (available only to your location administrator). Administrators can browse through available services, activate or deactivate them, and assign them a section name for display and use. Another feature of the administration area is a "supported by" icon link that lists out the carriers that support a specific special service. Special services can be activated or deactivated at any time as your needs and carriers change. To make special services more accessible to end-users, Pacejet supports configuring service settings within ERP systems and then transmitting selected services into quoting and shipping processes via native integration. For example, the standard Built for NetSuite bundle includes a standard configuration for four of the most common special services (COD, Lift Gate, Saturday Delivery, Signature Required) in sales orders and item fulfillments. Customer service can simply click check-boxes in a sales order to have the special services request automatically included in quoting and shipping activities. The basic special service management features described so far provide a solid foundation for using hundreds of carrier services but there are more advanced tools available as your needs grow. 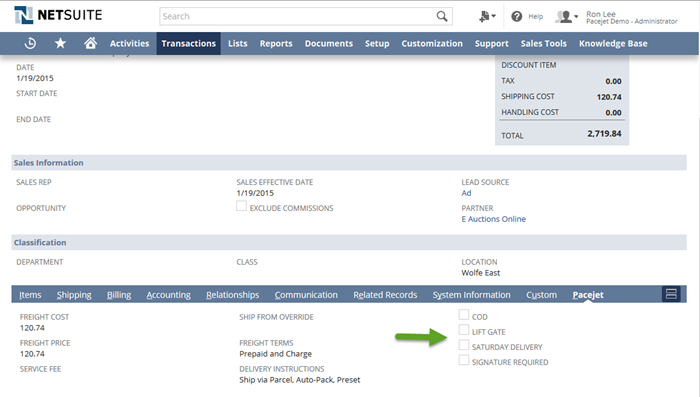 For example, Pacejet templates or pre-processor rules can be used to automatically add special services based on customers, items, or other attributes of a shipment. Custom services can be added in your ERP and then transmitted through Pacejet to carriers. The upcoming 15.1 version of Pacejet even includes an option to lock service changes in the Pacejet rate-ship screen so they can only be added or changed in ERP orders or fulfillments. One tricky area of service use is that not all carriers have the same meaning for a service, even if they sound alike. For example, "delivery notification" could mean different timing or other attributes. Extreme length may have different limits on the length of items in a shipment. As you consider how to implement and use services, it may be worthwhile to discuss the use-case with a Pacejet consultant and review the specific services with your carriers. If, for example, you want your customer service teams to be able to attach a service to a sales order and have it supported by multiple carriers, you will want to make sure the service has the same meaning and support by both carriers or at least understand the differences that will apply. Special configuration and mapping might be required to implement services with similar names but different meanings.